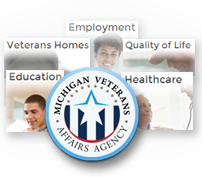 Michigan Veterans Affairs Agency will assist employers as they develop and improve their efforts to recruit and retain high-quality veteran candidates. Employers who meet the criteria will be publicly recognized and allowed to use the Gold, Silver or Bronze Michigan Veteran-Friendly Employer logo to market themselves to potential veteran applicants. Veterans can bring great qualities and benefits to your organization. Consumers Energy, FCA, Kellogg's, MSP, Verizon, and more. Beaumont Health, Herman Miller, Peckham Inc., Perrigo, and more. VETERAN IN THE LAST YEAR. Certified veteran-friendly employers jobs posted on Pure Michigan Talent Connect now features a FLAG ICON to let veterans know you value Hiring them. If you are looking to hire a veteran please contact a Business Solutions Representative at your local Michigan Works! Service Center. They offer a wide variety of tools and services to aid employers. 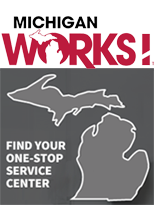 Please visit www.michiganworks.org or call 1-800-285-WORKS (9675) to be automatically routed to the location nearest you. Here’s your direct line to some of the best talent in the world. Search our extensive database of job seekers and find employees with the right skills and qualifications, view upcoming career fairs, tap into special services and more. Veterans may elect to make their Veteran status visible to employer searches. Veterans will be identifiable with a flag icon next to their names. Our programming can help employers find Veteran employee talent by gaining SAA approval (Apprenticeship/OJT). The U.S. Department of Labor recognized that employers can sometimes find it difficult to navigate the plethora of Veterans hiring resources available to them. So, this Toolkit was developed to simplify the process and put valuable resources at your fingertips. It serves to pinpoint helpful tools and outline some important steps to take when designing a Veterans hiring initiative that works for your particular business. The Institute for Veterans and Military Families at Syracuse University (IVMF) and General Electric (GE) are partnering to empower our nation’s employers with the tools, strategies, and peer resources to adopt a collaborative and strategic approach to veteran employment. Select tools include best-in-class practices, processes, resources and programs positioned to increase employment opportunities for our nation’s veterans, contributed by those using them and curated by IVMF experts. 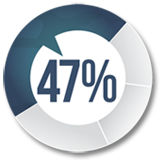 The Work Opportunity Tax Credit (WOTC) is a Federal tax credit available to employers for hiring individuals from certain target groups who have consistently faced significant barriers to employment. More information for employers is available from the State of Michigan Unemployment Insurance Agency – WOTC Unit. Are you seeking to fill positions and considering the many benefits of hiring a veteran? Employers that conduct job fairs or participate in them can connect with skilled and talented veteran candidates. If you're interested in advertising a job fair, please visit our Job Fairs page, or contact a Business Solutions Representative at your local Michigan Works! Service Center. Please visit www.michiganworks.org or call 1-800-285-WORKS (9675) to be automatically routed to the location nearest you. Connect locally with Michigan Works! Agencies to find skilled workers and access training opportunities to upgrade workers' skills.